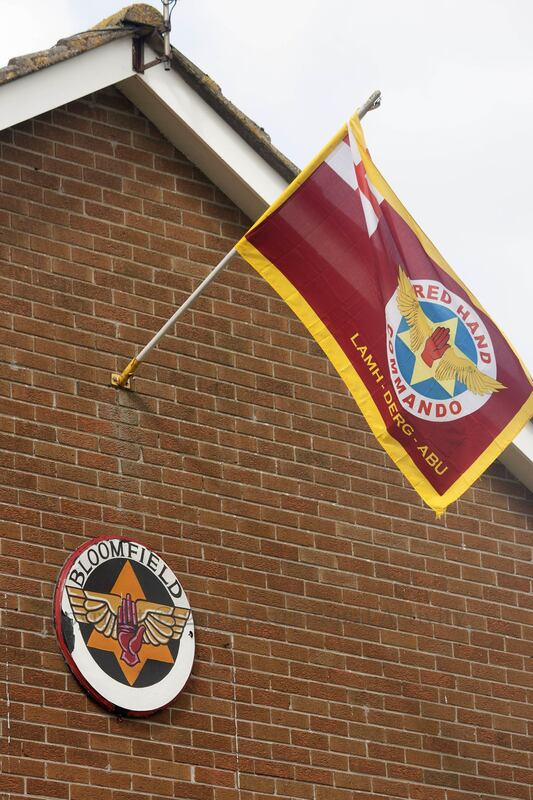 Here are three images of Red Hand Commando boards and flags in the Bloomfield estate. 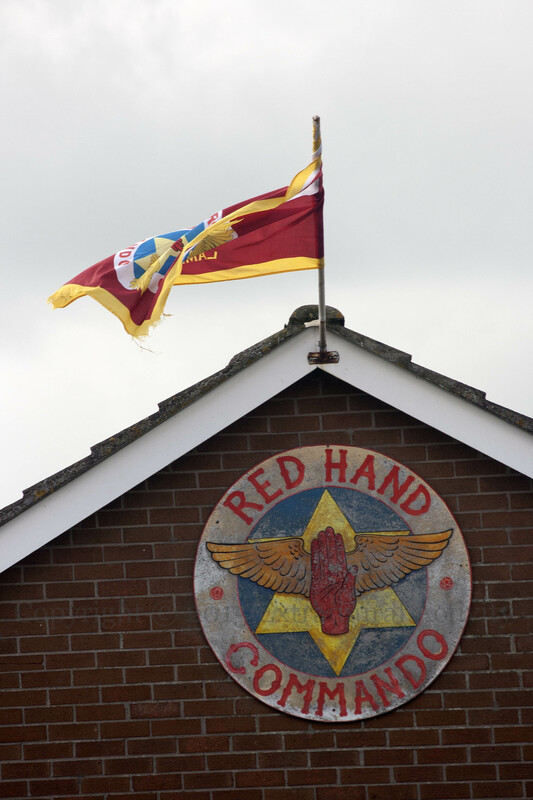 They both feature a red hand with eagle’s wings over a six-pointed star and on the flag, the motto (in crude Gaelic) “Lamh Derg Abu” – “Onward, Red Hand” or “Red Hand To Victory”. 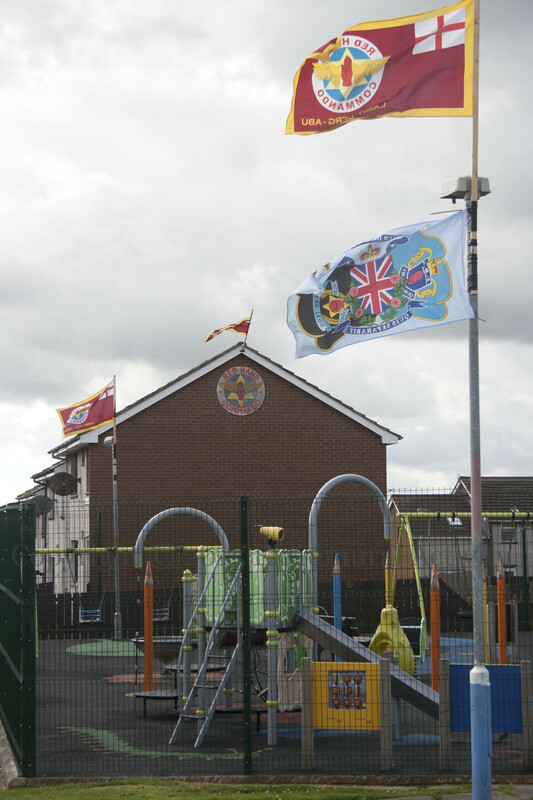 The loyalist paramilitary group declared an official end to activities in 2007 (BBC-NI) and decommissioned its weapons by 2009.